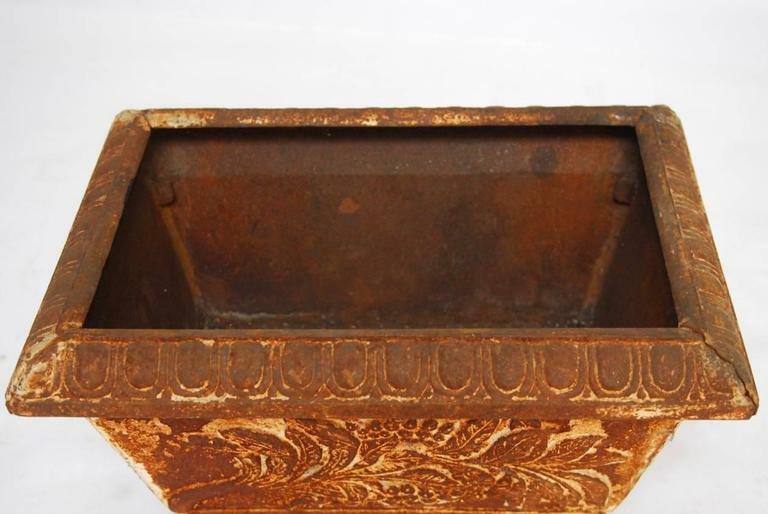 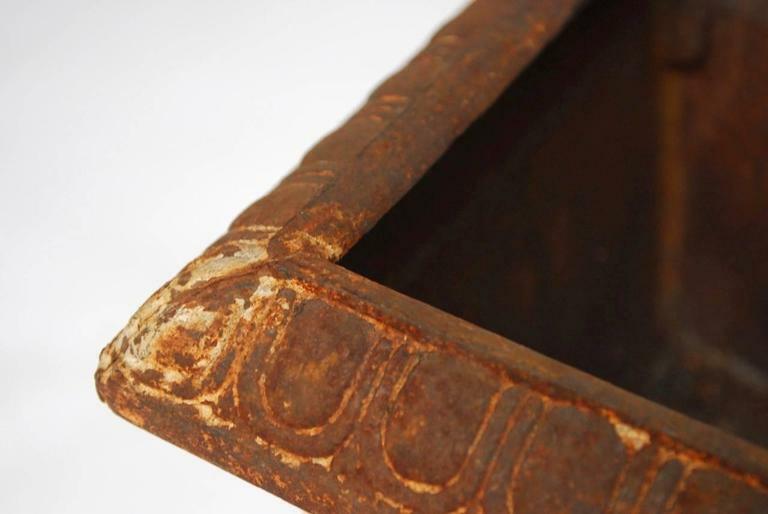 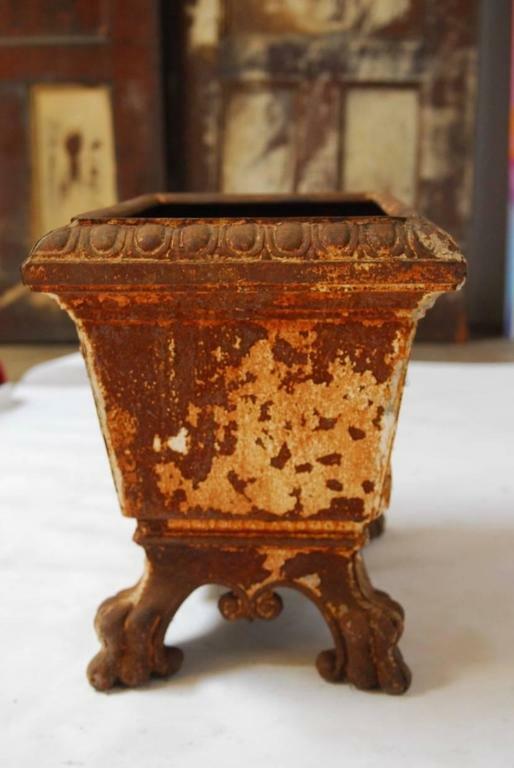 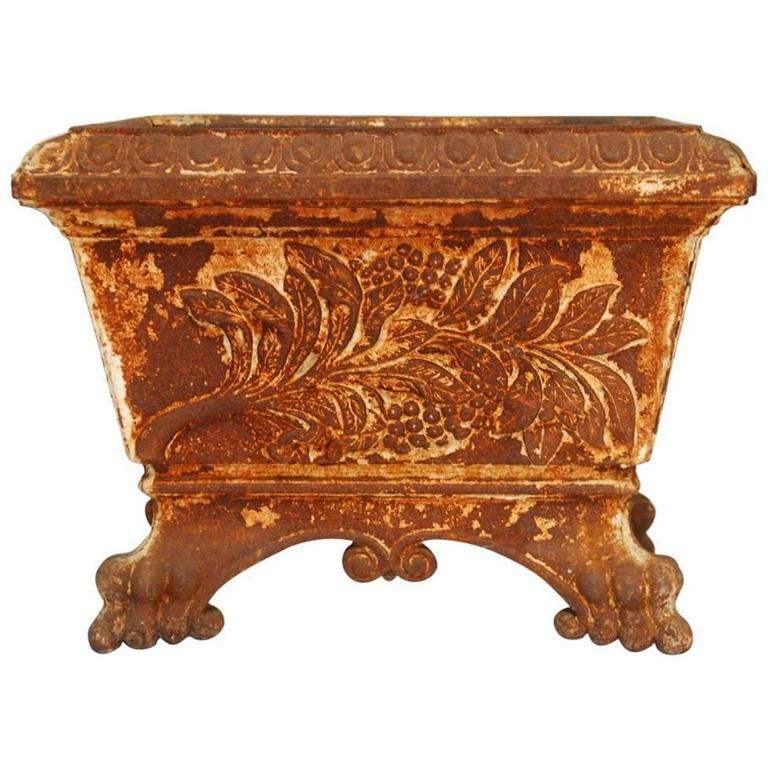 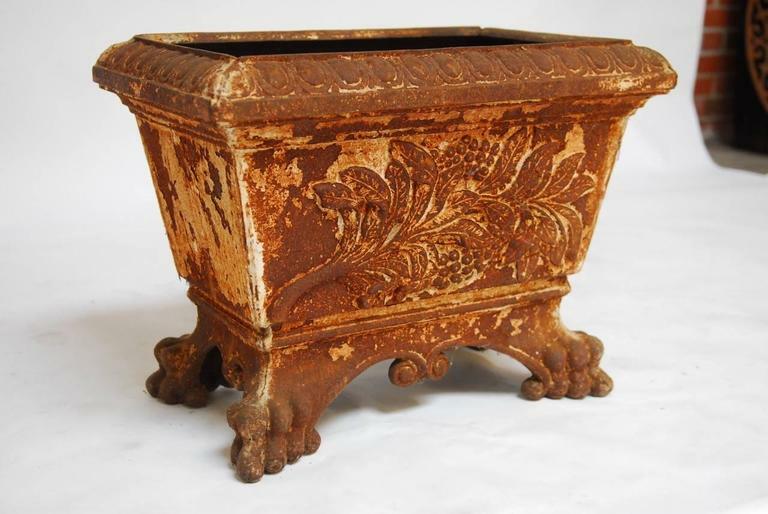 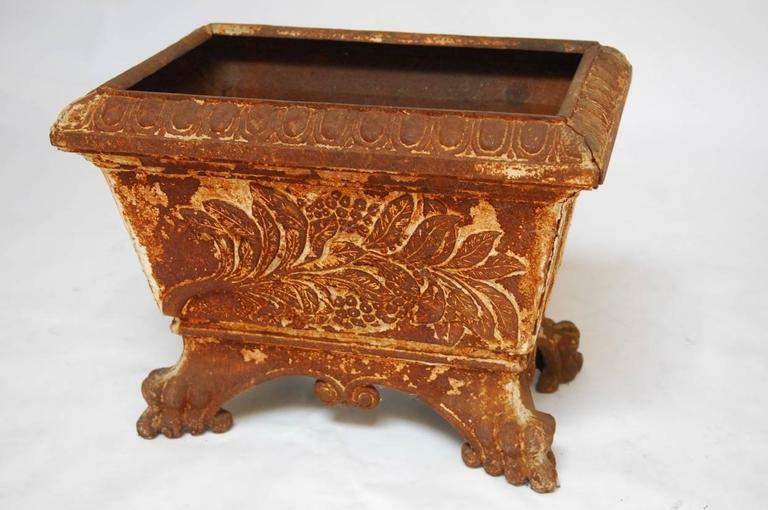 Patinated 19th century French cast iron footed garden planter with a rectangular shape. 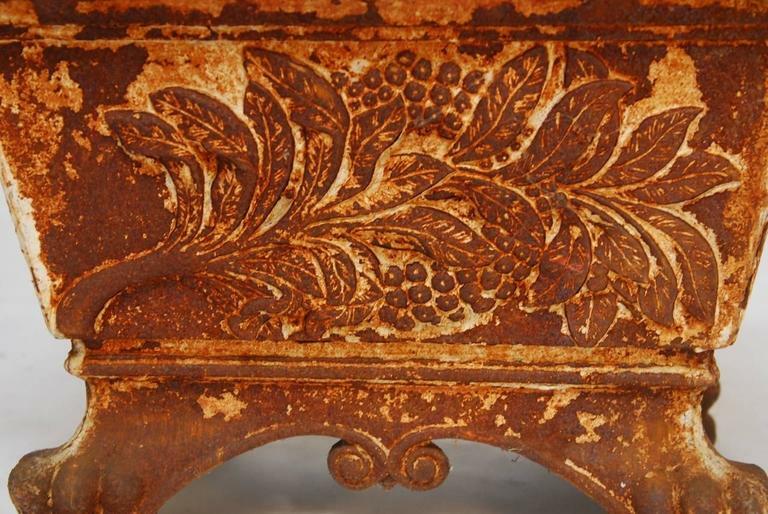 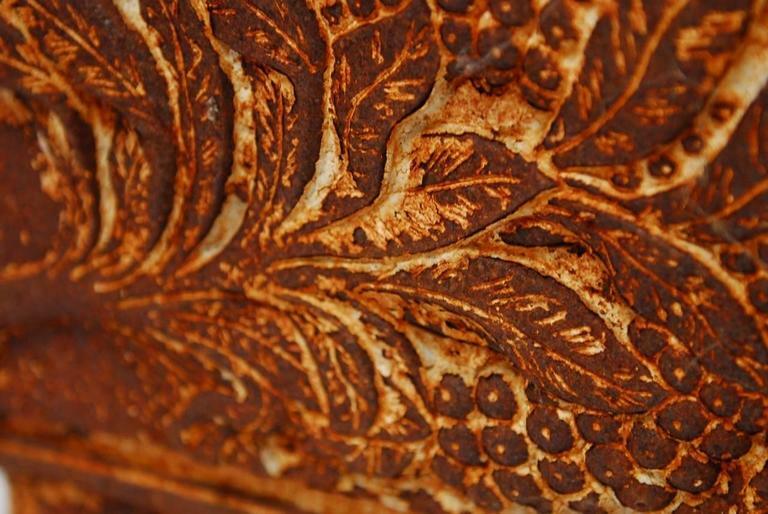 Features a grape vine motif on both sides and an egg and dart decoration around the rim. 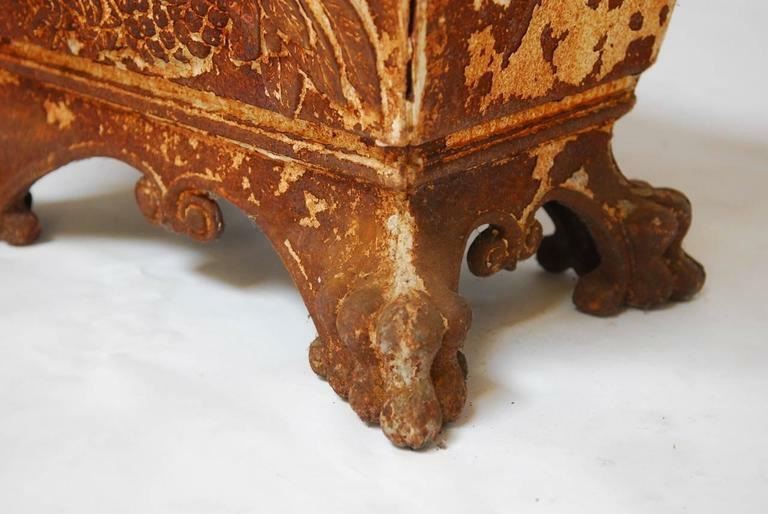 Supported by shaped feet with a heavily patinated finish on the iron.